Many of us would like to cook authentic Asian dishes at home, but sometimes the ingredients are hard to find. And if you haven’t learned by now, the mainstream grocery stores are overcharging you double, sometimes triple what you would pay at the Asian markets. So on this episode, I’ll be sharing some dishes for a simple, healthy menu that is inexpensive, flavorful, and fun for your guests. And I’ll talk in depth about the ingredients: what to look for, cooking tips, brands I recommend, and where to buy them to save money! I’ll also be sharing the Rola Family Lumpia Recipe, also known as Filipino Spring Rolls, and walking you through step-by-step so you can make them at home. Over the years people have begged me for the recipe, and I’m sharing it with you on this show. Anyone who has tasted my family’s lumpia, is never satisfied with egg rolls or spring rolls served in a restaurant ever again! And to go with it, you’ll learn the Ilocano Filipino traditional dipping sauce, plus the common mainstream restaurant-style sauce. 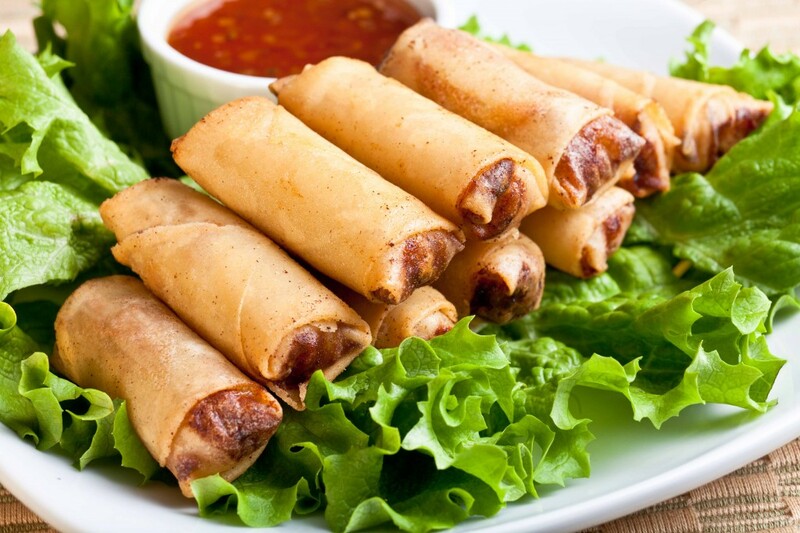 I’ll also share other variations of egg rolls or spring rolls from Southeast Asia that you may not have tried before, and are equally simple, tasty, and addictive! Some of these options are even Gluten-Free! There are even more brands of soy & fish sauce than there are brands of American breakfast cereals, so I’ll give you the names of brands that I recommend, and places where you can find them. And of course what food gathering is complete without some kind of dessert? So I will be sharing my recipes for Matcha Green Tea Blondies, other Asian desserts that include Gluten-Free options that your guest will love! Come listen on February 6, 2015, for this episode of “The Frugal Foodie Show” for the CookingNetwork.Club on BlogTalkRadio.com!